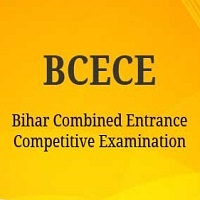 Bihar Combined Entrance Competitive Examination Board (BCECEB) Conducts Bihar Polytechnic 2019 as DCECE. 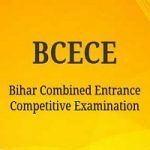 The great number of candidates participates in this entrance exam, every year for taking admission to various polytechnic courses in government and private polytechnic institutes of Bihar. For the academic session 2019-20, candidates can apply who want to take admission into various polytechnic courses. Check all the details about Bihar Polytechnic 2019 in the article below. Bihar Polytechnic Application form will be available from March 2019. Click Here to know how to apply for the same. P.O.- B.V. College, Patna – 800014, Bihar”. Candidates must be the resident of India. Candidates must be passed 10+2 exam from the education board of any national or state level. Those applying for ANM examination should have the minimum age of candidates of 17 years. Those applying for PM examination should have age between 17 to 35 years as on Dec 2019. Those applying for PMD examination should have age limit between 15 to 30 years as on Dec 2019. However, there is no specified date for PE programs. The application is non-refundable or non-transferable in any case. There will be total 90 questions. Each question will carry 5 marks. The duration of the examination will be 2 hours & 15 minutes. The syllabus will be different for different courses. It will comprise of various subjects such as physics, chemistry, mathematics, Hindi, English, general knowledge, general science, and numerical ability. Syllabus of PE courses will comprise of physics, chemistry and mathematics subjects. There is no other mode than online will be entertained to fill the online application form. Candidates studying in 10th class are eligible to apply for PMD course. Appearing aspirants are also eligible to apply. The authority will provide the correction period to make corrections in some fields. Aspirants are advised to fill the application form before the last date to avoid the hassle. Fill all the required details carefully and upload the signature and the photograph.